We’re all about caring for people and helping them become great stewards of the resources, skills, and abilities they have. Revealing hope is an important component … why? Because we all need hope, to believe that there is something greater within us to accomplish our goals, to believe there is something greater in the spirit of mankind than just what we see, to believe that with a helping hand and some hard hard work, each person can improve the quality of their own life, the lives of their family, and to become a productive and giving member of their community, whether that is in Southern California, throughout America, in the remote mountainous regions of Latin America, or anywhere in the world. We help people maximize their potential by providing training, improved education, we help improve infrastructure in remote regions, such as better sanitation, clean water, health care, electricity, improved building structures for homes, schools, and churches. Most of all, we care about the people we work with, and develop long term relationships with them and with their communities. We work closely with local churches to provide emotional, spiritual, and community support. But that’s not all …. in working with people in both the U.S. and Latin America, we care enough to encourage them to not only find hope for their future and their eternity, but to begin living lives of responsibility and service to their neighbors. Some call it paying it forward … we call it being a good neighbor. As we work with people to help them, we call them to a life of helping others. So won’t you join us? Let’s all work to make a difference and have an amazing impact in this world. 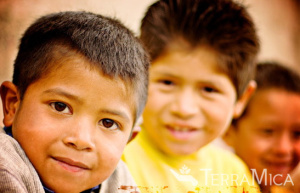 Join us – follow our blog, our Facebook page, volunteer locally or join us on a service trip to Latin America, donate funds or resources to support us as we serve, and tell your friends. One by one, we can all make a difference by caring about our next door neighbor, about young adults in our community that need some extra help in moving forward, and about our Latin American neighbors in remote farming communities working hard to provide for their families. Together, we can impact lives!